What’s the first thing you see when you visit someone’s home? Of course, it’s the front door! 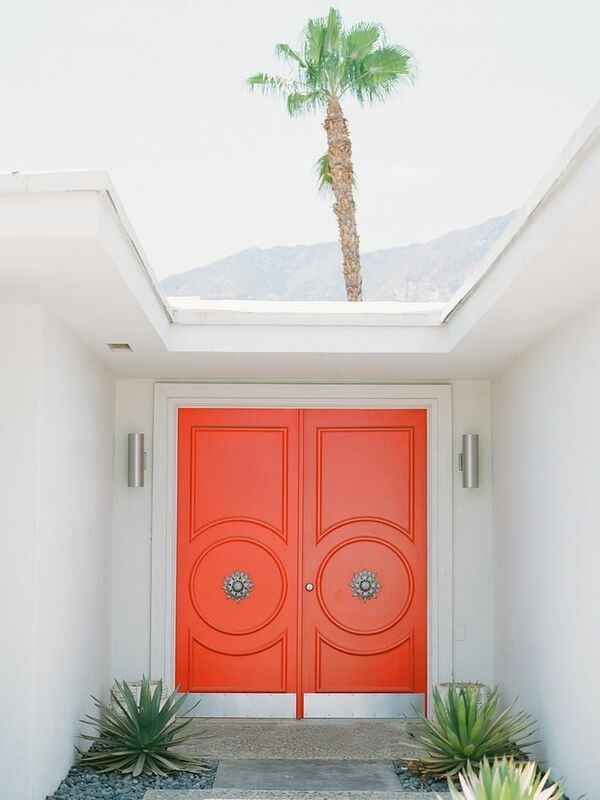 And as you’d imagine, a beautiful front door is vital to make a good impression on visitors and have them feeling curious to see inside. The front door can make all kinds of statements about the residents of the house. 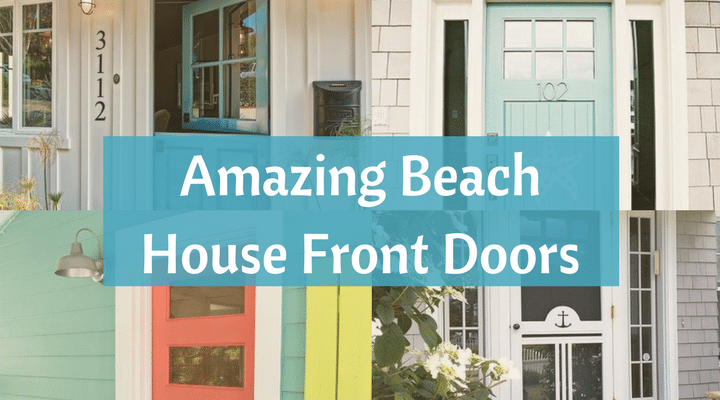 Make your beach house stand out with a creative door that will achieve the look that you want. 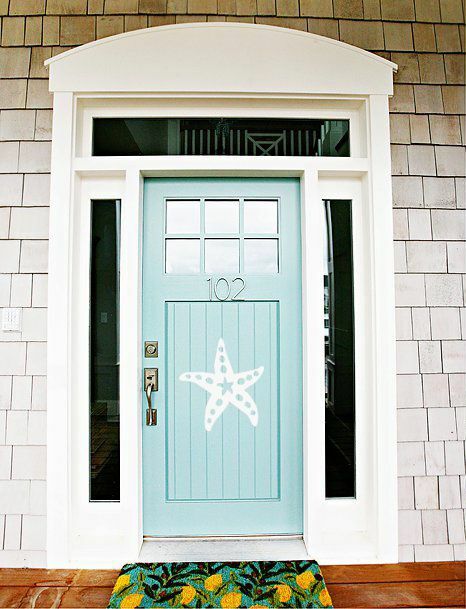 A starfish stencil on the blue door with a colorful doormat announce to the world that you’re up for fun at your beach house! 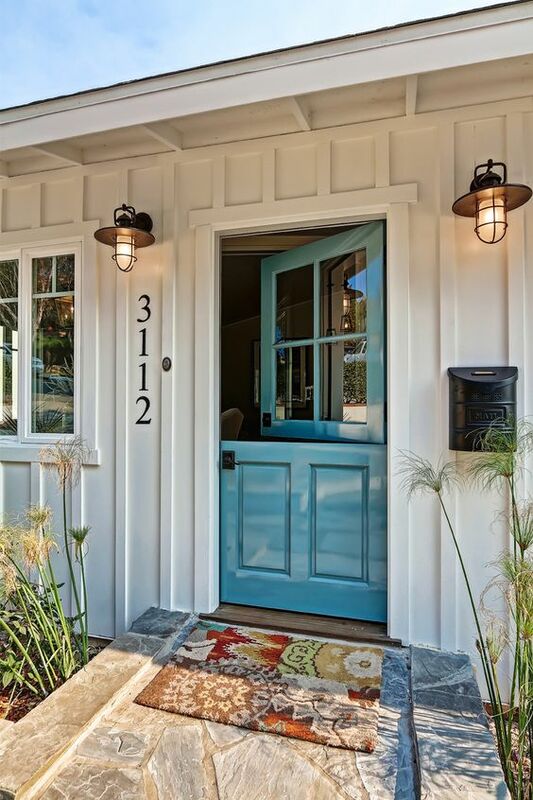 The white doorframe and glass side panes go well with any door colors. Large glass door panes will admit plenty of daylight, and the top half of the door swings separately from the bottom half. Dutch doors are great for letting in the sea breeze on a hot day! 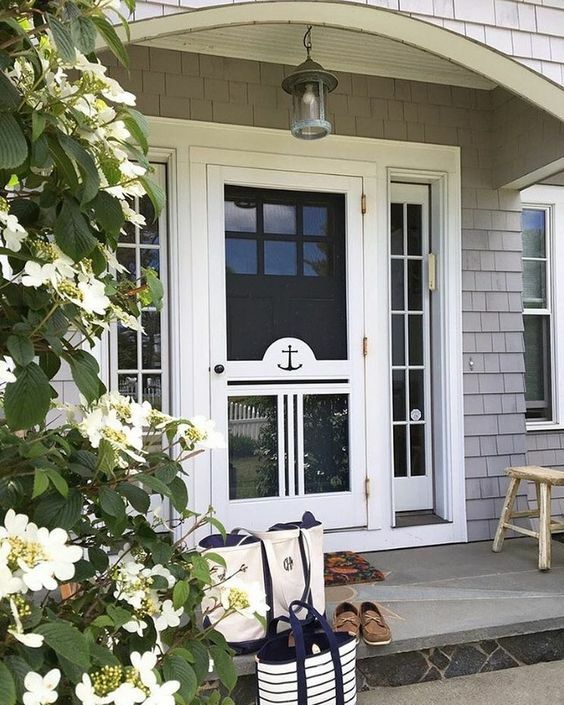 Show off your love of the sea with a small sea anchor on the door panel, or choose another motif that you think would look better. Ideas include a ship’s wheel, starfish or a sailboat. 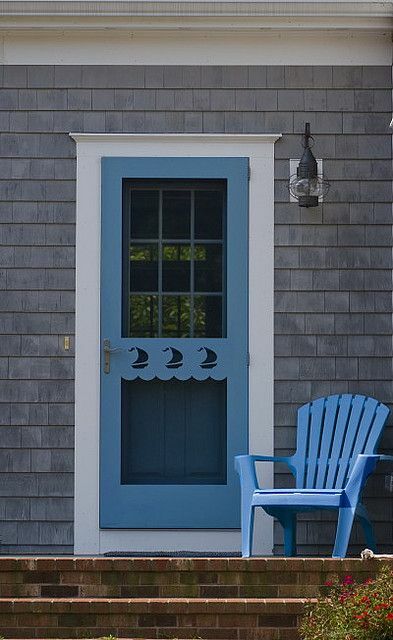 Little sailboats float above the waves in this cute paneling on the outer front door. Decorative elements like these don’t cost much and lend character to the house. 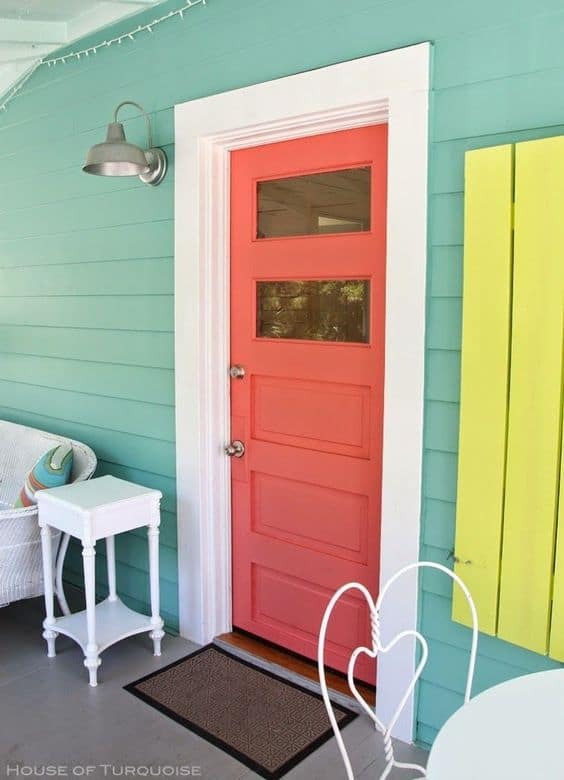 Brighten up your porch with a colorful door, and add couches and outdoor seating. A white door-frame and a doormat will suit any design. 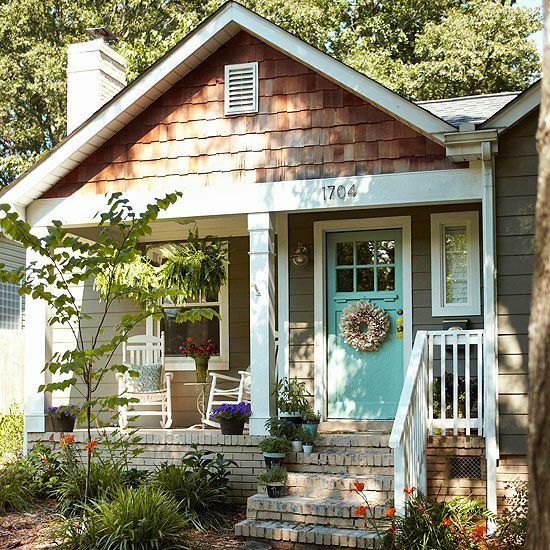 This cozy-looking cottage uses a wreath on the front door for a welcoming appearance. You can also use lifesavers and ship’s wheels as decorations on the door. 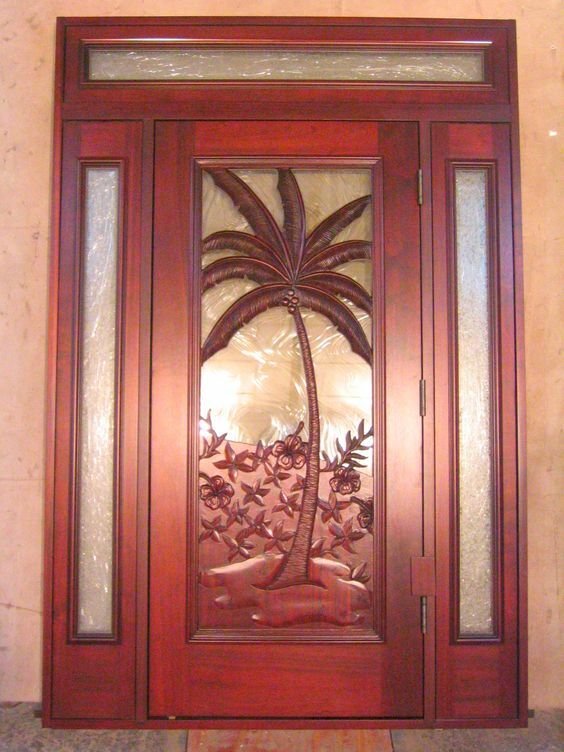 Add some ornate wooden carving of palm trees on a tropical beach to invoke the sea. This design allows light in through the glass while also adding some exotic elements to an otherwise humdrum door. 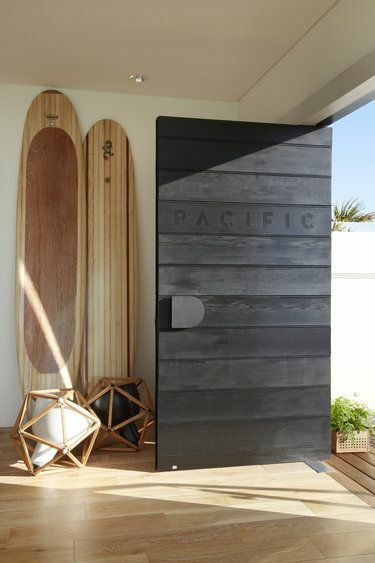 This black modern minimalist door would be suitable for a modern beach house that has a “less is more” design philosophy. The door handle is simple and matches the door, so it doesn’t distract from the overall appearance. 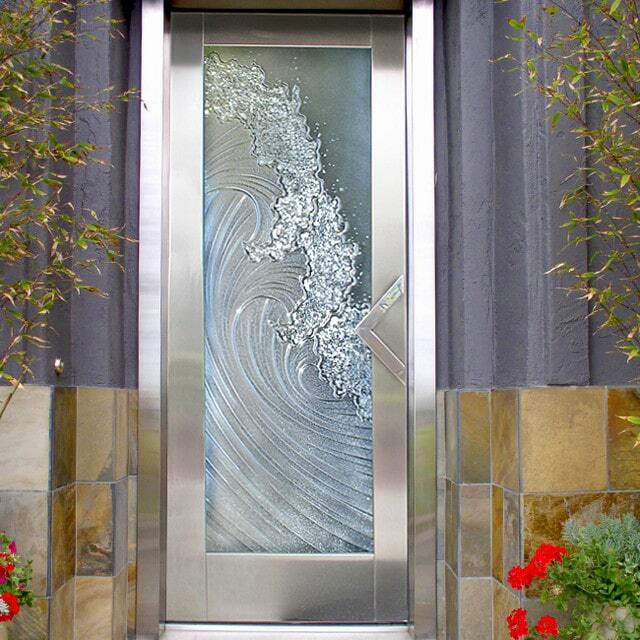 This door stands out with the use of brushed steel and a large frosted glass pane embossed with a large ocean wave. 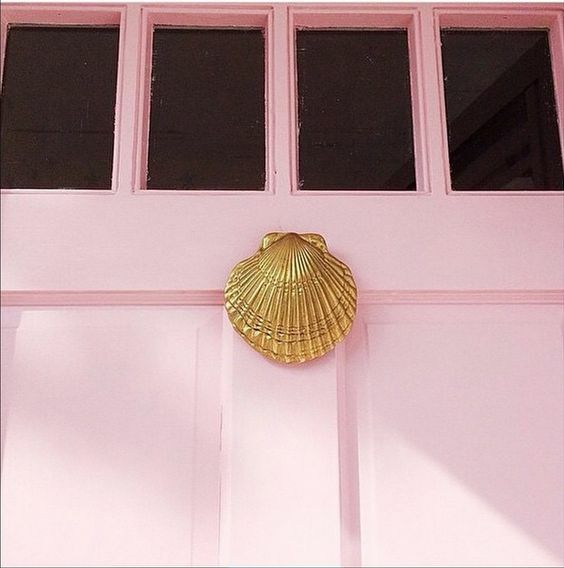 Keep it simple but add a touch of glamour with this golden clam-shell doorknocker. This look will pair well with light colors such as pale blue, green and lilac. Combining the modern look with some traditional elements, these doors have a simple frame and clean, geometric lines. The complex shapes on the metal door handles add a great contrast to the minimalist decor. 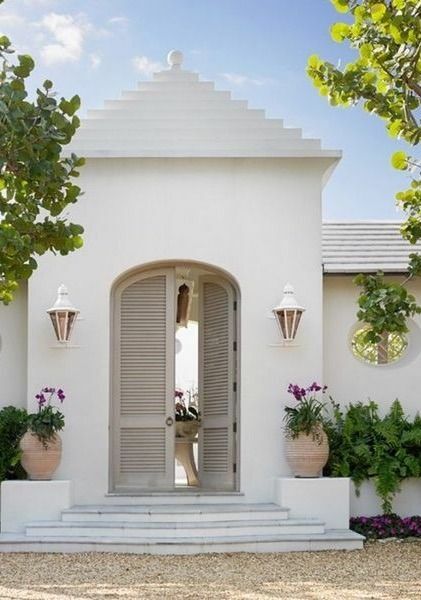 This beach house aims for a Mediterranean villa look, with a louvered plain wooden door that complements the portico. Some lovely porch lights and flowerpots complete the look. 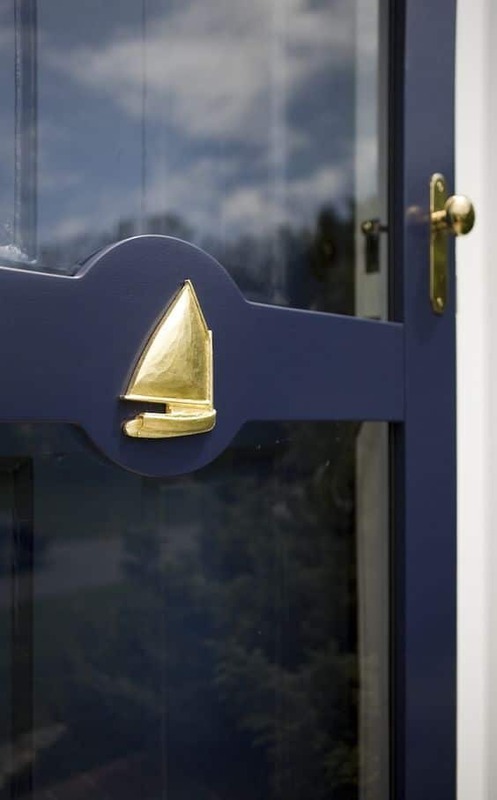 To make your front door stand out, use shiny metal decorations such as sailboats and ship’s wheels that will immediately make your love of sailing apparent. Bonus style points if you can match it to your door handles! Now that you have got some ideas for your front door, it’s time to decide on a budget, then determine your style, size and material. Some great deals for decorative elements can be found in flea markets or antique dealers. Let us know how you make yours attractive!